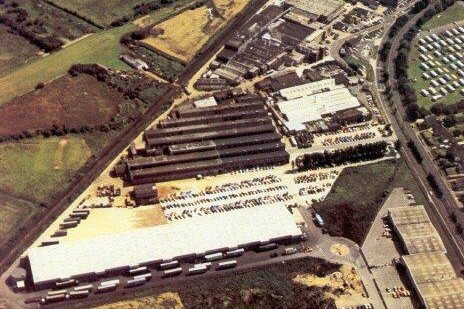 LEC Airfield was part of the LEC Refrigeration Company, just north east of the town, and is a big part of Bognor’s rich history. 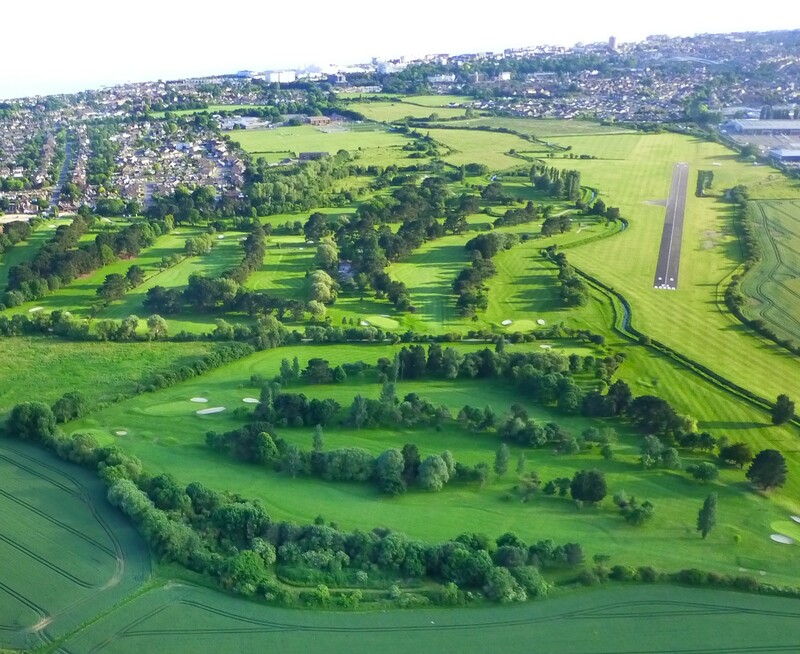 Over a number of years when talking about airfield in the Bognor Regis area, it has become apparent that many people think of the airfield behind LEC Refrigeration’s factory in Shripney as the only Bognor airfield. However, during the course of discussions on Bognor Advanced Landing Ground (A.L.G. 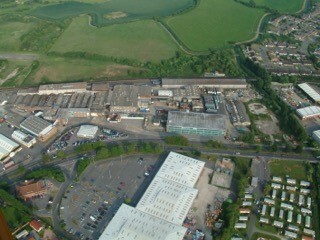 ), we have received many enquires about Bognor A.L.G. becoming the LEC Airfield, and the LEC Airfield becoming the A.L.G. – a most confusing situation! The Bognor A.G.L. was situated at the Chalcraft Lane site, North Bersted and this airfield closed at the end of September 1944. To dispel this confusion, we have decided, quite recently, to include a chapter on LEC Refrigeration Ltd in ‘It Started with a Map” by Sylvia Endacott, as it was in fact that company 1st applied for planning permission 1946 at the site adjacent to the Shripley Road Factory between the railway and the Bognor Golf Course, which laid out a completely new grass airfield for light aircraft in formally Mr Munday’s farmer’s fields. Although we understand flying may have first commenced from these fields in 1943, still during 2nd world war, but this was not the Bognor A.G.L. theres reference 1943 to the Auster being fenced in one corner of the field & the cows gaining access & taking a liking to the doped fabric covering, partially destroying the aircraft. So it could be argued that flying from LEC Airfield commenced in 1943 during the war. An ironic twist, Bert Munday was a resident in our family Nursing Home for 5 years, a pure gentleman, we often chatted about his farming. 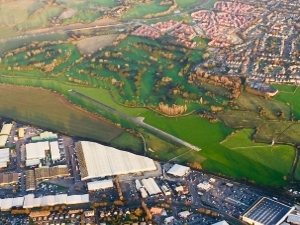 Locally hundreds of premises including my our 1st house in Elmwood Ave had covenants re no business premises & caravans etc, curtsy of Mr Munday stipulations as the former land owner, who would have ever thought I would have purchased LEC Airfield some 40 years later in 2016, what a small world. 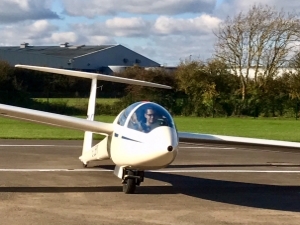 Managing Director uses own aircraft on Sales Tours Overseas. Readers of the board of trade Journal may be interested to know how a firm starting from scratch in 1946 with an initial capital of £1,600, has built up a sales turnover of approx. a million and a half pounds annually, of which 75 percent goes to the export market. In this article, Mr. Charles Purley, Managing Director of LEC Refrigeration Ltd., of Bognor Regis, Sussex, tells us of his firm’s achievements. Before I went into the refrigeration business I could claim a long experience of keeping food on ice. In those days refrigeration units were not only rare, but expensive. I therefore started making home-made storage refrigeration for myself and my friends. From the outset we concentrated on exports, for the simple reason that the government would release steel only to firms engaged in the export trade. We chose the hard way, but it had its decided advantages. For one thing, the sale of refrigerators at the time was mainly seasonal. But with a market for our goods spread through a number of countries we could build up not only a steady, but in some areas an overlapping demand. In addition, our production was less likely to be affected by changes in hire-purchase regulations and credit squeezes at home. Early in our business we introduced an element which many firms any consider unnecessary and much too expensive. It was an aeroplane. In my view, once there is a likelihood of business being started there is nothing to beat rapid personal contact. both buyer and seller have their problems and a frank discussion can do away with snags before they arise. 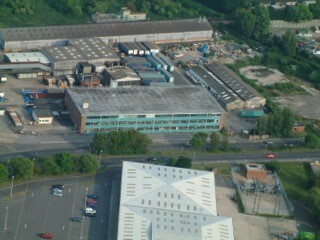 I can say unreservedly that having an aircraft has paid off tremendously in building up our business. it is obviously vital to visit one’s overseas buyers regularly. Better still, of course, get them to visit you in the United Kingdom if you can. They can then see for themselves the raw materials and workmanship which so into the product and this should give them confidence. Another thing is that there are often aspects of business which the buyer would prefer not to mention in correspondence; these can be cleared up in one visit as a rule. 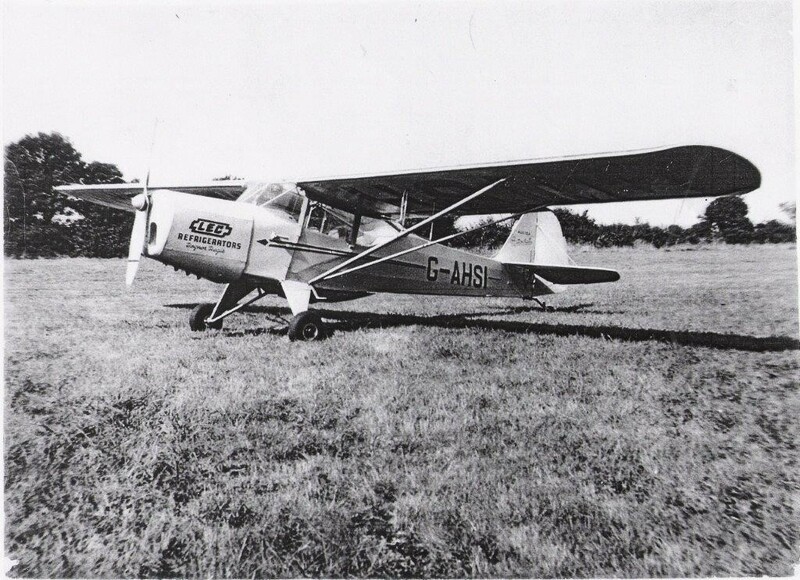 Since 1947 we have used an Auster or Miles Gemini aircraft to visit many of our overseas agents and customers to whom we have sold direct. We have found this saves hours and sometimes whole days. it is often quicker for us to get the Continent than to motor to London airport. I always take a qualified refrigeration engineer with flying experience and we take it in turns to pilot the ‘plane. Once we arrive, I concentrate on the sales side while my engineer will be giving our customers’ engineers the benefit of the latest developments at the factory. He is also in a position to clear up any of those technical difficulties which inevitably arise from time to time. We do not stay longer than absolutely necessary. one a recent tour we flew over to 14 countries saw our agents in each territory and were back at the works within 21 days. We certainly use the regular air lines, of course, from time to time, but the virtue of having one’s own aircraft is that one is not tied to a schedule. Last year, Frank Purley, our export director, made a sales trip around Europe and North Africa. He covered 64 territories. Another advantage of using a private aircraft is that one’s sudden arrival is invariably regarded as news. Reporters interview our flying salesman and the resulting publicity usually leads to new contacts and more business. The value of this free publicity adds up to thousands of pounds. our flying venture has been such a success that we have bought an Avro Anson which we intend to use as a flying showroom. This aircraft will be large enough to hold a number of our refrigerators. Fitted with long range tanks, it will be possible to fly the northern route to Canada via Iceland and Greenland, calling on customers throughout Canada and the Unites States and visiting all the South American countries. In this new aircraft there is no country in the world, importing licences permitting, where we cannot fly and do business. Perhaps I can shed some light on the activities of LEC Refrigeration. I worked for them at Bognor Regis from the early seventies until 1981. During that period two aircraft were operated, often to ferry essential staff to their factories in Londonderry and Calais. 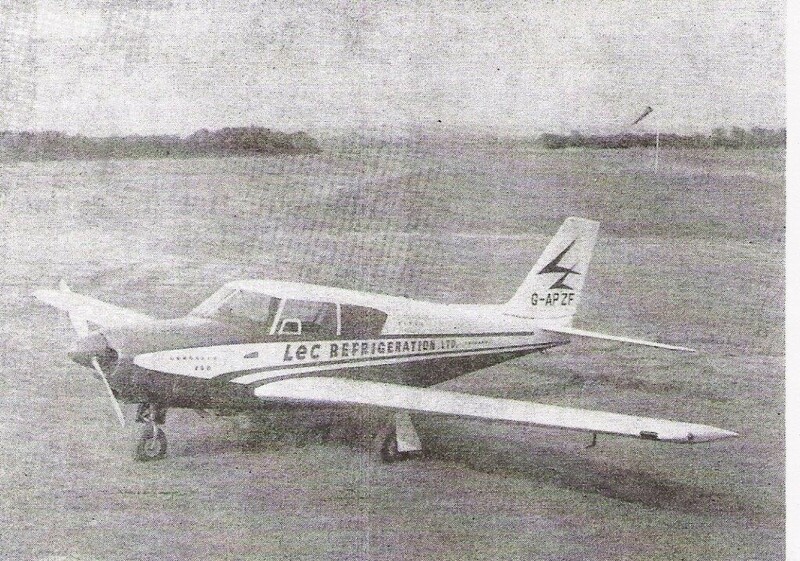 The aircraft were Cessna FR.172E, registered G-AWCN and PA-E23-250 Aztec E, registered G-BCRP. (‘CRP’ being the initials of Charles Purley, the Chairman of the company). At the same time a Pitts Special belonging to David Purley, the Chairman’s son and of racing driver fame and was also hangared at the airfield. David Purley was tragically killed when this aircraft, G-POKE, hit the sea off Bognor Pier while he was practising aerobatics on 2nd July 1985. 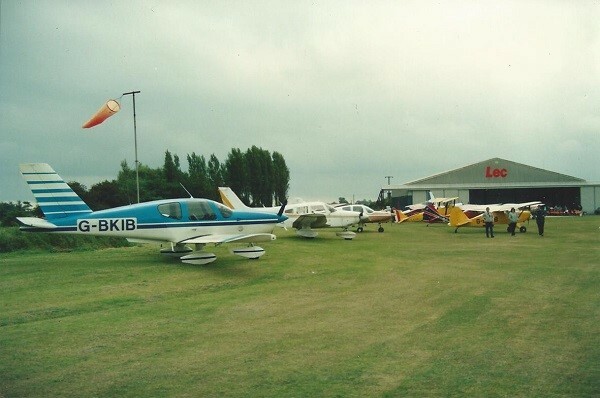 For several years thorughout the 1980’s, the airfield was made available by LEC for the annual fly-in of the PFA Southern Strut. These were by invitation only due of limited parking space but they regularly attracted around 50 visitors. I flew in to this event on the following dates – 18/7/82, 7/9/86, 24/9/89 and 16/9/90. These aircraft used are listed by date of acquisition. Auster J/1 Autocrat G-AHSI Reg to Longford Engineering Co Ltd 3.7.47; re-reg to Hampshire School of Flying Ltd, Eastleigh, 12.10.51. G-AHSI was involved in an accident at Cowes on the Isle of Wight on 11th November 1947 and a Lloyd’s Accident Report, dated 29th November 1948, noted that it had hit a cow at Bognor (date unrecorded) while taking off from Bognor! The company history records that: The airfield was leased to us by kind permission of a local farmer, Mr. W. Munday, and was shared by a herd of ‘Bovine Beasties’ which, not being house-trained showed little respect for the airfield, and even less for the aircraft, which had to be regularly washed down to restore its original colour scheme. 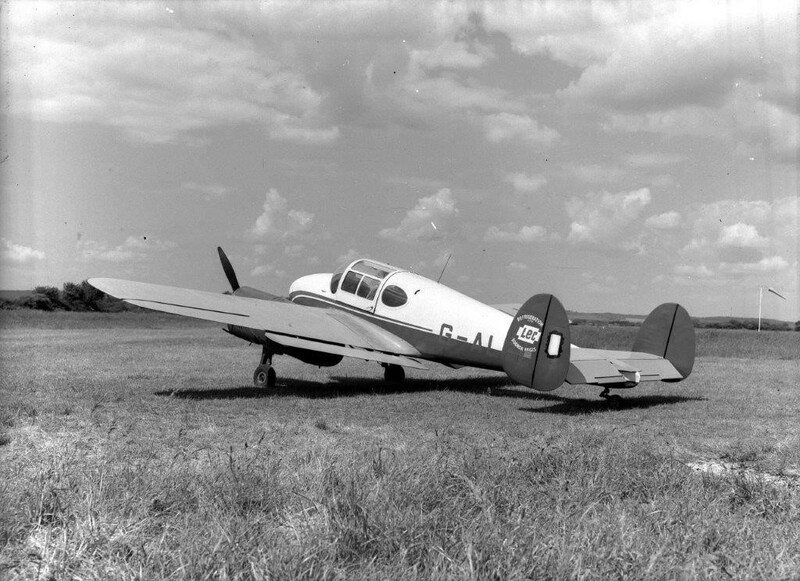 Having no hangar, at the time, the aeroplane was tethered to one corner of the field, and eventually the addition of an electrified fence successfully warded off the inquisitive cattle. Whenever there was a ‘scramble’ (R.A.F. term for ‘getting airborne’) the cattle had to be driven clear of the take-off strip, and then repeated for landing. It was during one memorable take-off that one of the cows had eluded the ‘drive officer,’ and its own good decided to stand up out of the long grass just as the Auster became airborne. The ‘rebel’ suffered little more than a broken horn and gave birth to a bonnie wee calf a few eeks later. 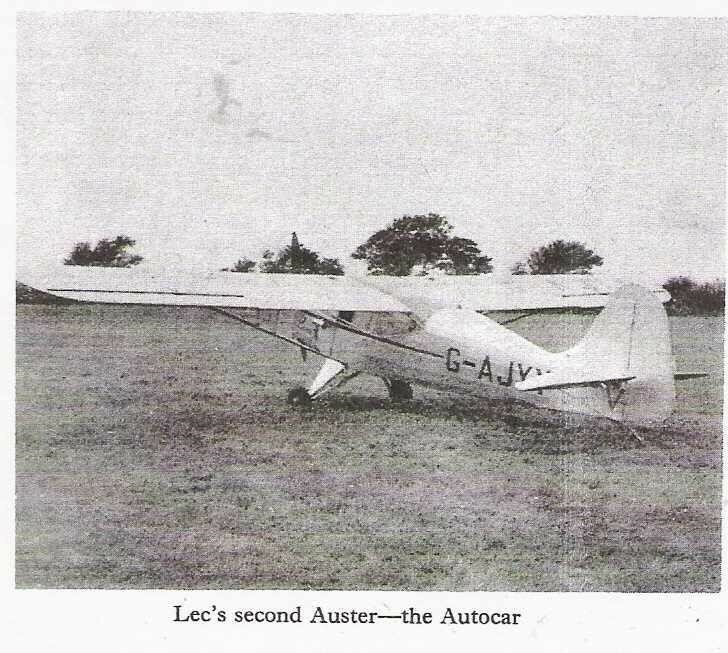 The Auster ended up on its nose with a broken propeller, and the Pilot (by then, Johnnie ‘Roger’ Jonhson) giving birth to twins and a few well chosen words. Miles M.38 Messenger Mk.2A G-AKDF Reg to Longford Engineering Co Ltd 9.6.48; re-reg to Wolverhampton Aviation Ltd, Wolverhampton 9.11.50. Miles M.38 Messenger Mk.2A G-AJVC Reg to Longford Engineering Co Ltd 3.1.51; re-reg Henry Mitchell, Portsmouth 18.1.55. 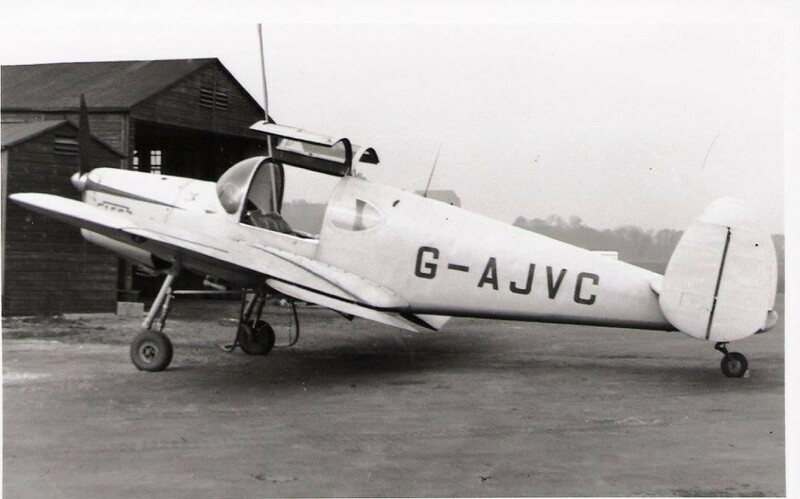 Auster J/5B Autocar Executive G-AJYY Reg to Longford Engineering Co ltd 5.10.51; re-reg to Henry Mitchell, Portsmouth 18.1.55. Miles M.65 Gemini Mk.3A G-ALMU Reg to LEC Refrigeration Ltd 17.2.55; re-reg W.Bogatta and A.V.Boella, Eastleigh in 6.57. 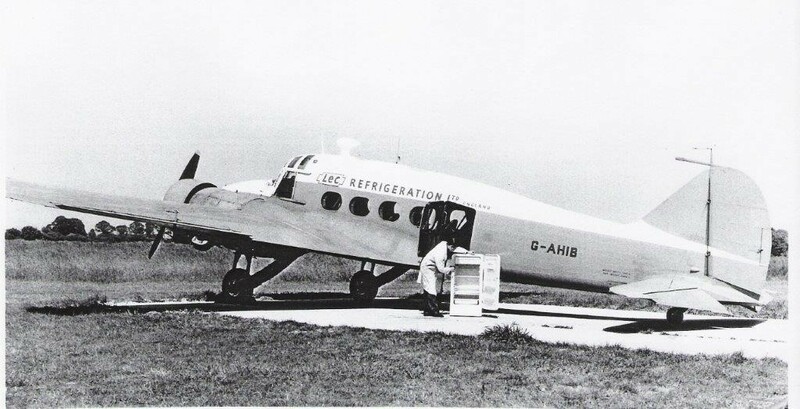 Avro Anson C.19 Srs.1 G-AHIB Reg to LEC Refrigeration Ltd 14.6.57; re-reg to Pomeroy Developments Ltd, London W.1 9.3.59. 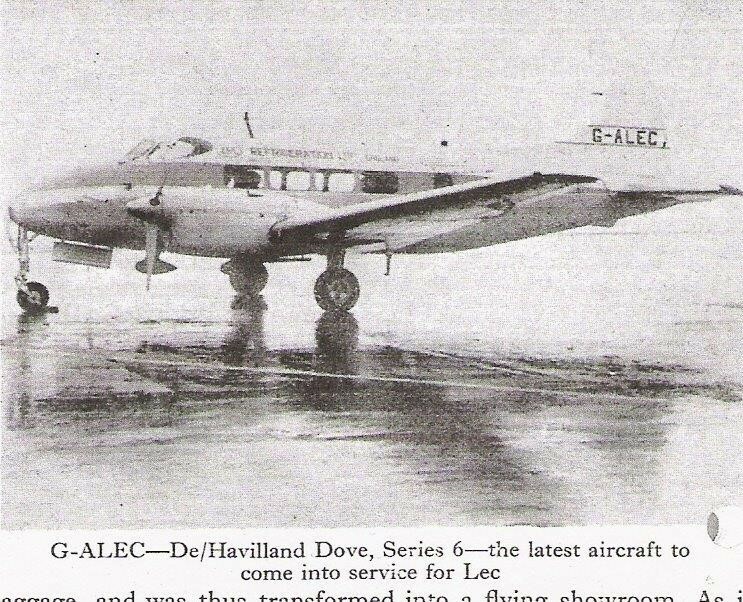 D.H.104 Dove 6B G-ALEC Reg to LEC Refrigeration Ltd 21.1.59; destroyed in fatal crash into North Road Cardiff 6.5.59. Cessna 401 G-AWDM Reg to LEC Refrigeration Ltd 15.5.68; crashed onto Bognor Golf Course shortly after take off 7.5.71; rebuilt and sold in Germany with reg D-IAMG 24.3.72. 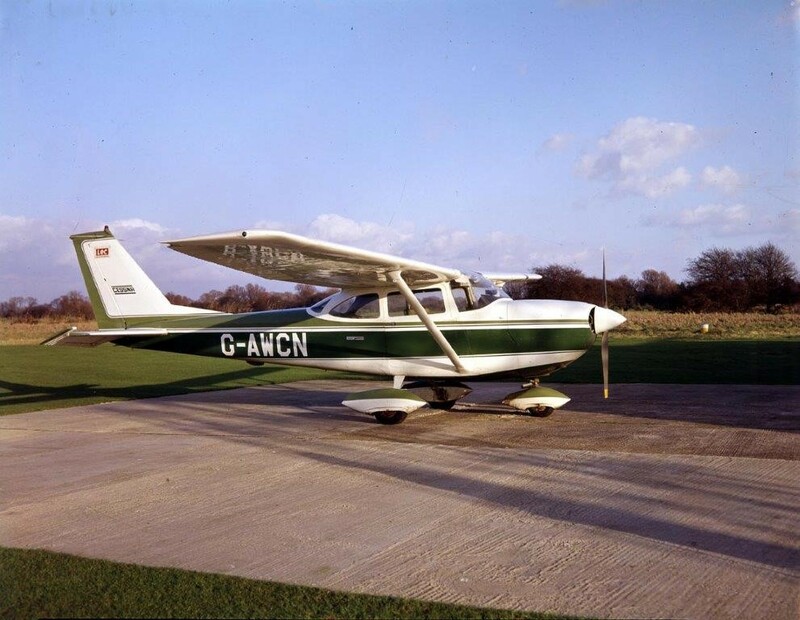 Reims Cessna FR.172E Rocket G-AWCN Reg to LEC Refrigeration Ltd 20.6.68; re reg to Cubair Ltd, Redhill 13.7.93. 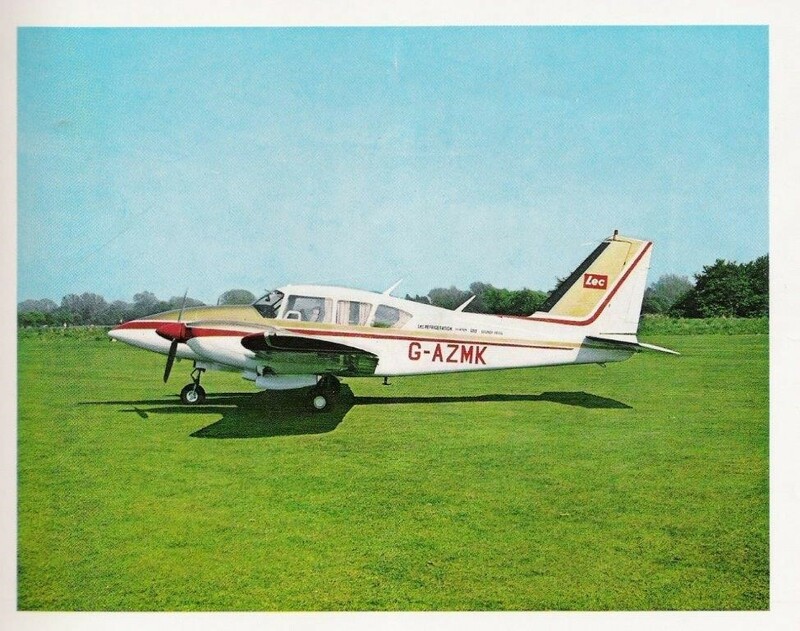 This was the last aircraft to be used by LEC Refrigeration Ltd.
Piper PA-23-50 Aztec G-AZMK Reg to LEC Refrigeration Ltd 28.10.83; sold in Greece and re-reg SX-DKA 30.3.93. U.K reg cancelled 30.3.93. Piper PA-24-250 Comanche 250 G-APZF Reg to LEC Refrigeration Ltd 2.5.60; re-reg to CSE Aviation, Kidlington 13.11.63. Piper PA-30-160 Twin Comanche G-ASJM Reg to LEC Refrigeration Ltd 9.10.63; sold 3.12.64 and re-reg to Victor Cannock 12.2.65. Although not a LEC, a Pitts S-1E Special G-POKE, Reg to David Purley (son of the Chairman of LEC) 27.5.81 was kept at LEC’s airfield. However, this was unfortunately destroyed in a fatal crash into the sea 1/2 mile E of Bognor Pier on 2nd July 1985 while David was practising aerobatics. 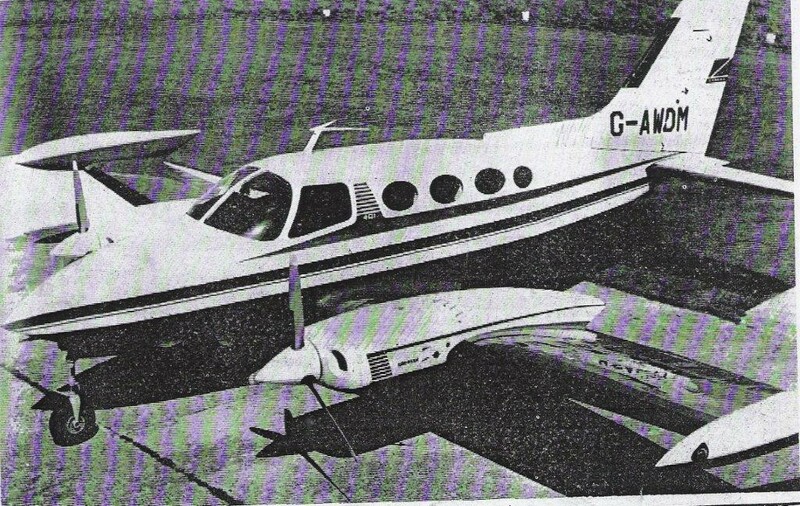 Aero Commander 60F, G-ARDk, Reg to Field Aircraft Services Ltd, was used by Hughie Green and possibly Cliff Luxton, to fly Billy Butlin from a meeting in the Isle of Man on the morning of the 29th March 1963, to Bognor, where Billy Butlin was attending an important charity dinner that evening. 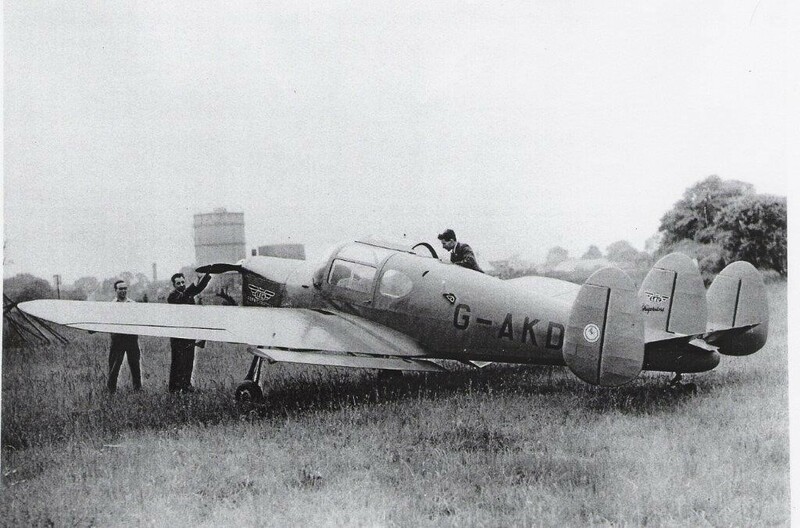 While the aircraft was taking off from Bognor later that day, to fly to Heathrow, it ‘failed to become airborne’ and overran the airfield on take-off, removing the undercarriage and finishing up in a ditch. Repaired by April 1965, it was then sold in Portugal. Among the LEC archives is the original planning application for an aircraft hangar, “to house a Miles Messenger and 1 Auster”. This was received on 7.2.48 and noted as Plan No. BR/17/48’A’. 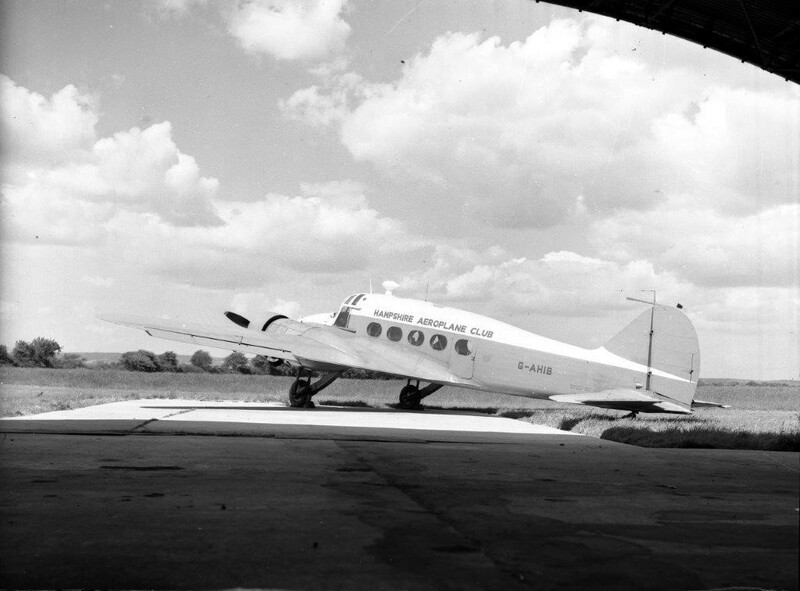 The proposed hangar was reported to the Chichester Rural District Council and the application was dated 14.4.49. It was a “Proposed Ex RAF Hangar”. The Blister Hangar was 90 ft wide x 45 ft deep and the drawing also showed two runways – the main one 1700′ R/W1, and a North-South one 1400, R/W2, which was probably never used. NOTE: The blister hangar was much larger than those type situated at Bognor A.L.G and could have been of the Fromson type. Another application was also made 9.9.81. 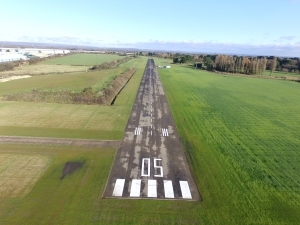 With regard to servicing the runway with Tarmacadam and also showed the Runway as being 2000′ long x 55′ wide. 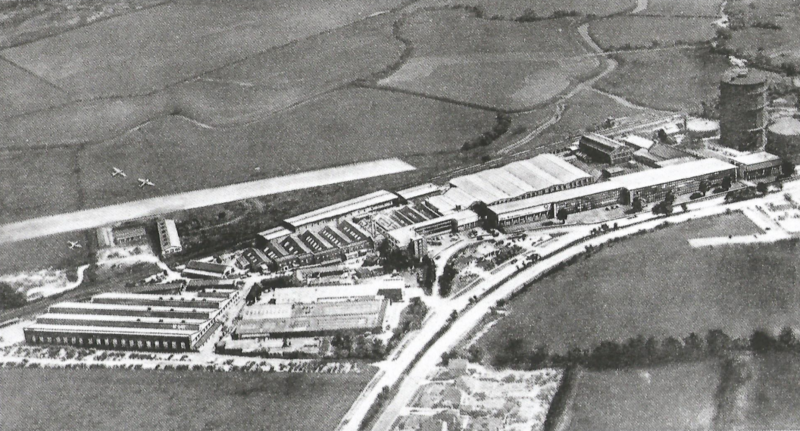 Click here to see a historic photo of the airfield and factory from LEC Archive.